Khartoum, Asharq Al-Awsat—Sudan’s parliament approved changes to the country’s constitution on Sunday, giving President Omar Al-Bashir additional powers to appoint and remove senior officials, as well as expanding the role of the intelligence service. A total of 18 articles in Sudan’s 2005 Interim National Constitution were amended as a result of the vote, which President Bashir called for on November 3 while tasking an emergency constitutional committee to draft the necessary amendments. Bashir had previously said the changes were necessary to ease some of the country’s sectarian tensions, singling out the election of provincial governors as contributing to this. The new changes also affect the country’s National Intelligence and Security Service, which will move from being a mainly information-gathering apparatus to “being a security service parallel to the army and police,” according to Ezzedine. The name of the body has now been changed to the National Security Forces in order to reflect the amendments. A number of Sudanese MPs opposed the amendments, with members of the opposition People’s Congress Party walking out of parliament during the proceedings. Ismail Hussein, a senior member of the party, said during a press conference on Sunday the changes were inconsistent with the general principles outlined in the constitution. He also dismissed the president’s claims that the changes would stem sectarian tensions, saying they “lacked a detailed formulation” and claimed that the new amendments would not tackle the real causes of sectarianism. He also described the changes to the country’s security apparatus as “the most dangerous” of those approved by parliament on Sunday. Speaking to Asharq Al-Awsat, lawyer and constitutional expert Nabil Adib also said the amendments flouted the federalism enshrined in the constitution’s general principles. “If a constitutional amendment goes against the nature and core of the constitution itself, then it is unconstitutional. The constitution cannot enshrine federalism if we allow the appointing of provincial governors from the center, because it is a constitution that gives provinces the right to manage their own affairs. When a governor is appointed [by the president] this will isolate them and they now no longer answer to the province, which negates the idea of federalism altogether,” he said. He said the amendments should now be appealed by a higher judicial body, especially since there was a historical precedent for this when the Sudanese High Court rejected a parliamentary vote to dismantle the Sudanese Communist Party in 1965. 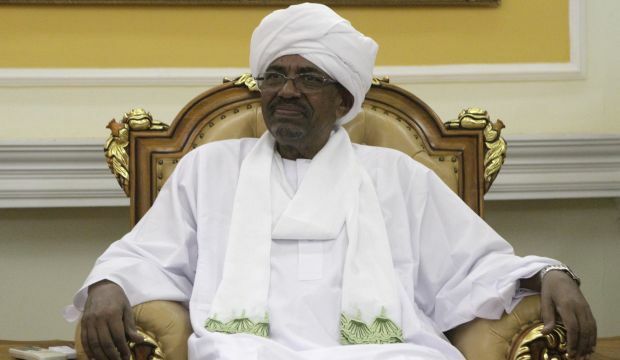 Reports suggest members of Sudan’s judiciary are opposed to the changes, seeing the president’s new power to appoint and remove senior members of the country’s judiciary as compromising its independence.